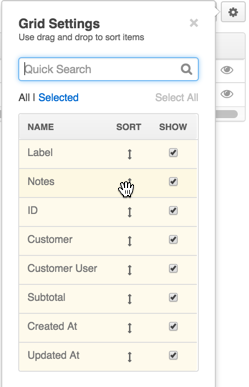 Manage multiple shopping lists simultaneously. Request quotes from a shopping list. Submit orders from a shopping list. Create as many shopping lists as needed. Via the management console, you can access any shopping list created in the Oro storefront. See a short demo on creating orders from the shopping list. 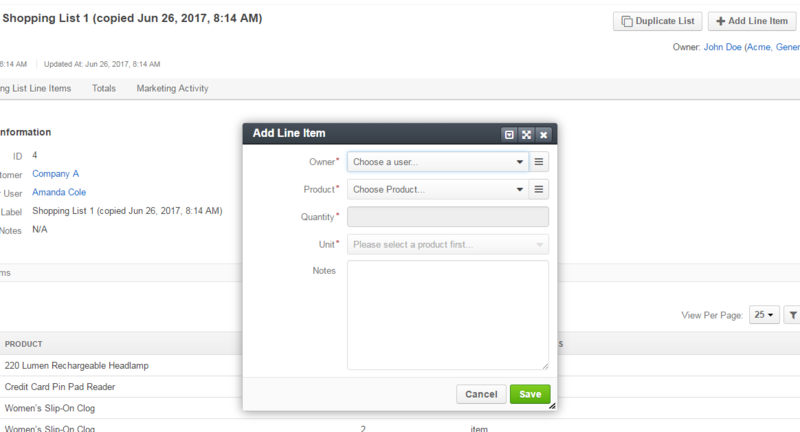 In the Shopping Lists section in OroCommerce management console, a salesperson can view all shopping lists created and saved by the customers in the OroCommerce storefront. On behalf of the customer, a salesperson can manage the items in the shopping list: edit, add, remove, change quantity, units, and add notes. In the management console, to view all shopping lists created in the storefront, navigate to Sales > Shopping Lists in the main menu. To view complete details of the product that is added to the shopping list, click . To modify details of the product added as a line item to the shopping list, click . To remove a line item from the shopping list, click .